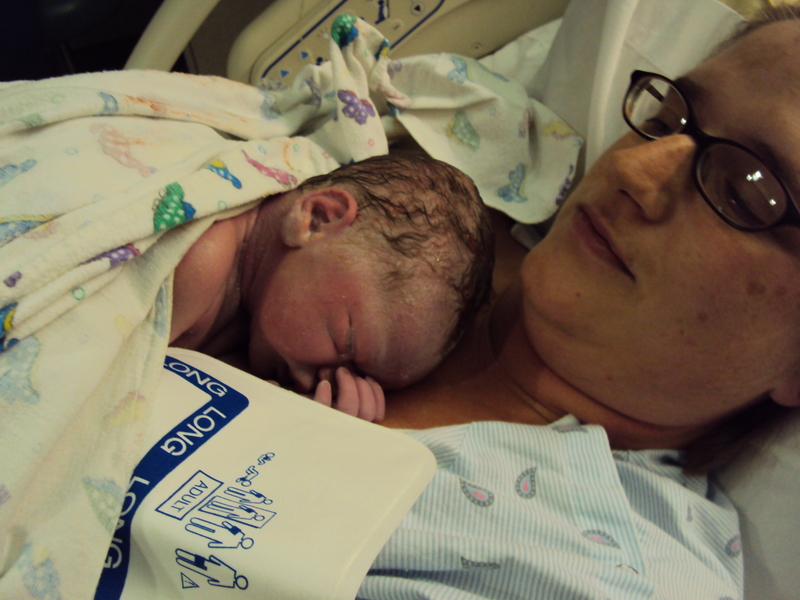 Samedi was born on November 12, 2010 at 9:26pm PST. It was messy and wonderful. They let me hold him and nurse him until I felt ready to hand him over to be cleaned up. Poor Sam does need some minor surgery done on his tongue. He is unable to nurse properly due to the tongue tie (that piece that attaches your tongue to the bottom of your mouth) being too long. He can not stick his tongue out of his mouth. I still nurse him when he wants, but we then supplement with a bottle and I pump to keep my milk supply up. I am taking him in to a consultation next Tuesday to find out more about the procedure. I am not looking forward to it, but I want to make sure my boy is healthy and if this minor surgery will help him to gain weight, then I will do it. 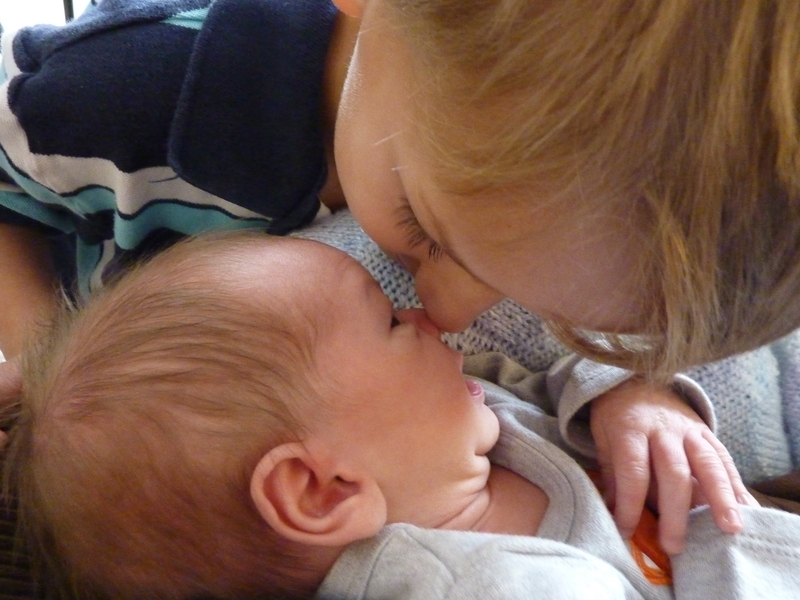 Sol has been a super big brother. He likes to help wash Sam and feed Sam. I think he is still unsure what to make of this strange, small, funny-sounding creature, but he is very gentle and patient with Sam. I plan to start exercising again in the next week or so. My sister-in-law gave me a free gym pass good for 12 visits. I just need to find the time to go. I need to be able to have someone watch Sam. I can take Sol with me and leave him in the daycare, but Sam is still too small for that. Once I start that up, I will start to record my progress here.